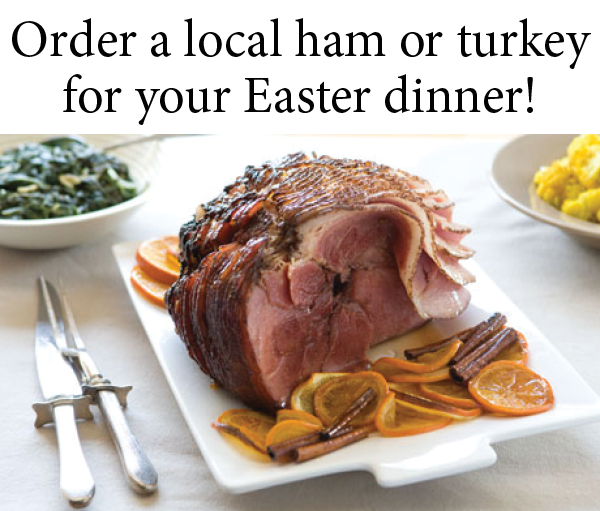 Order local meat for your Easter dinner! Easter is just around the corner, and we hope you’ll be making your feast as local as possible! We can help with some amazing local meat options available just for Easter. These options are naturally and ethically raised, hormone-free, free-range, and of course, local! We’re offering turkey, ham, prime rib roast, cornish hen, rack of lamb, and more. Orders are due by Monday, March 30th, at 5pm, and require a $20 deposit. Check out the form below to place your order, and follow the link at the end to make your deposit. If you’d prefer to order/pay in person, come by the co-op – 460 York Blvd!